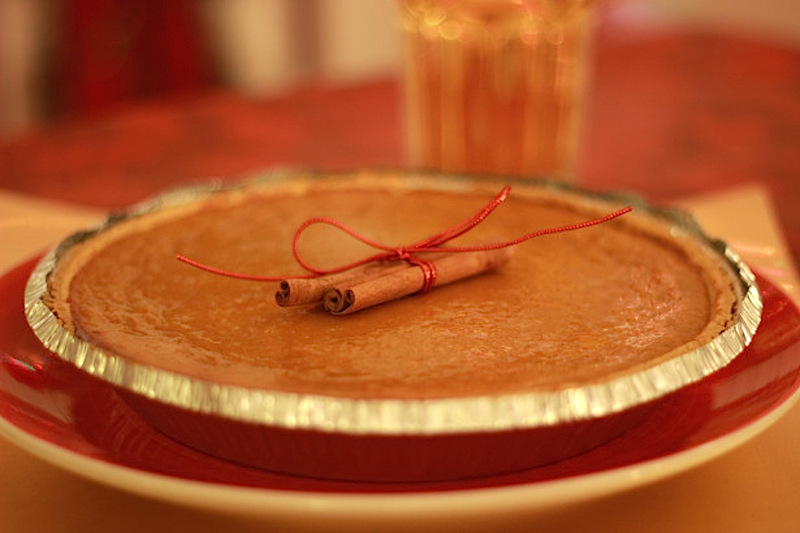 Pumpkin pie is a traditional American dessert eaten for Thanksgiving dinner and Christmas.This pie consists of a pumpkin-based custard, flavored with nutmeg, cinnamon, cloves, and ginger and baked in a pie shell. This pie is often made from canned pumpkin. Pumpkin pie can be served with a dollop of fresh whipped cream or a scoop of vanilla ice-cream. – Preheat ove at 350F degrees. – Brush the bottom and the sides of the pie crust with the beaten egg yolk. Bake on a baking sheet for 5 minutes, then remove from the oven. – With a hand or stand mixer mix together 1 egg, pumpkin puree, condensed milk, pumpkin spice, salt until well combined. – Pour the mixture into the pie crust. Bake on a baking sheet for about 45 minutes. – Remove from the oven, let cool completely on a wire rack. – Put in the refrigerator for at least 2 hours before serving.